Facebook has begun charging users in the UK to message celebrities and people outside of their social circle. After a successful trial in America, the premium service began rolling out at the end of March. 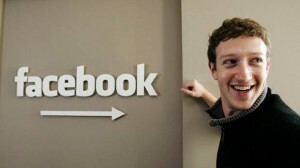 Last week Facebook released it’s Facebook Phone. The Facebook Phone Will Fail, that’s for sure, so monitising facebook’s traffic is top priority. So message Snoop Lion it will only cost $15.00 and he will never read it. Sounds like pure cash to me. For more about WHY THE FACEBOOK PHONE WILL FAIL read the Forbes Article (or save your time, if you saw the Zuckerberg presentation you can see the phone OS based on Android will appeal to nobody except people who are VERY into their friends). The price to send a message will vary depending on the amount of followers a celebrity has. Sending Tom Daley (who has over 1.4 million ‘likes’) a message will cost £10.68, while sending a message to rapper Snoop Lion costs £10.08. Sending a message to non-friends will cost an average of 71p, ensuring it will go directly to their inbox. Using the free option will redirect the message to a less visible folder with no automatic alert – a folder many don’t know exists. The fee can be paid online instantly with a debit or credit card. Under-18s have been prevented from utilising the premium service and are also unable to receive unsolicited messages from strangers. All funds raised by the new ‘priority messaging’ system will be kept by Facebook. This entry was posted on April 8th 2013 at 11:30am/11:30 and is filed under Live News Column 2. You can follow any responses to this entry through the RSS 2.0 feed.